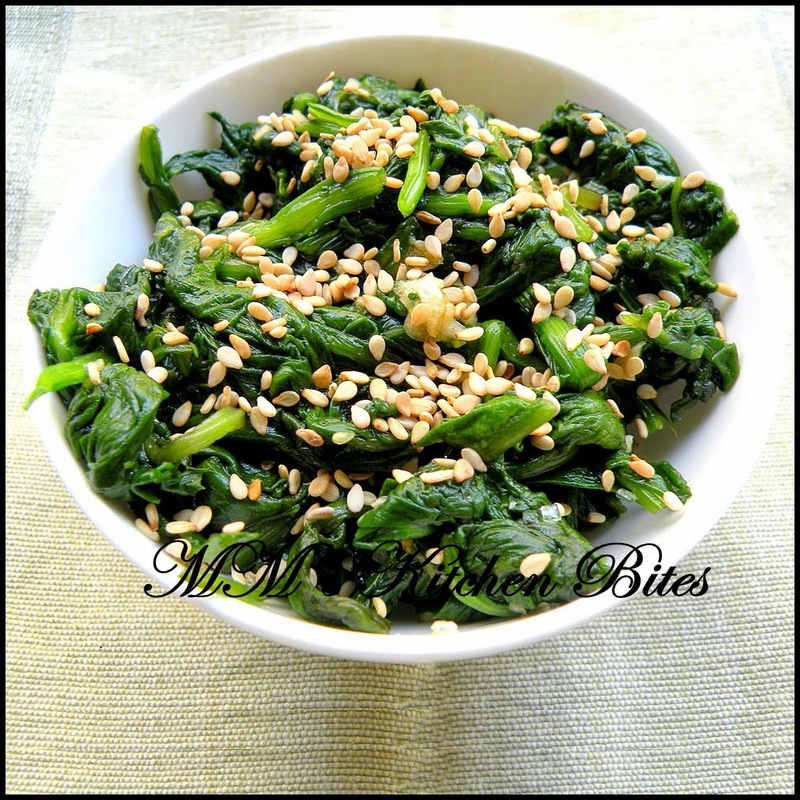 MM's Kitchen Bites: Shigumchi Namul (Korean Spinach Salad)......life beyond Pajeon, Part2!! Shigumchi Namul (Korean Spinach Salad)......life beyond Pajeon, Part2!! Blanch spinach in salted water until just cooked. Drain and wash in cold water. Squeeze well to take out all excess water. Cut into bite size pieces. Combine the soy sauce, sesame oil, garlic and sugar in a small bowl. I have it at room temperature when eating with rice and chilled, when eating as a salad. I also add a few red chili flakes at times. The dressing amount is given for proportion and of course you can adjust according to taste and quantity. Looks like a delicious and refreshing way to serve spinach.